Hey everyone! 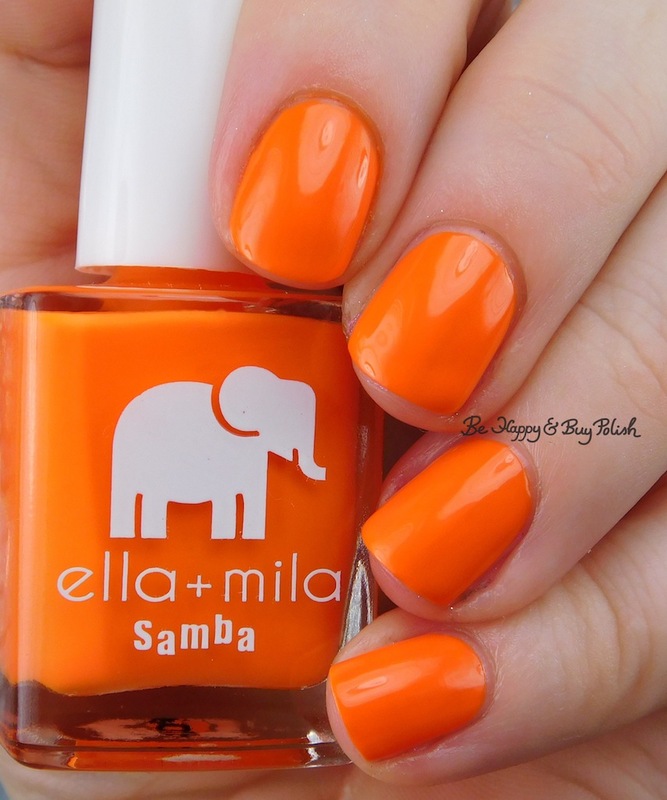 I have a bright and happy polish today to show you, aptly named ’cause I’m happy, by ella+mila. This is my first experience with this brand, I received this polish in a swap with another blogger. ’cause I’m happy is a bright happy orange creme polish. Formula was thin, and it dries shiny. This is 2 coats and no top coat. I know that this brand is a “7-free” brand but tbh, I don’t know that I’d pay over $10 for a creme polish (yes, OPI is my weakness, shhhh). What are your thoughts, have you tried this brand? What a fun vibrant orange!